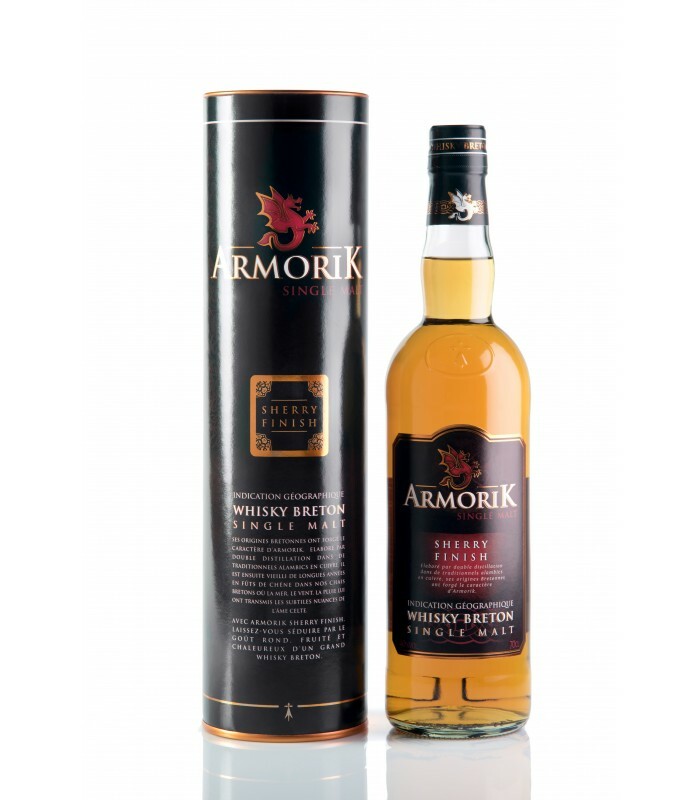 Armorik whisky is produced by Distillery Warenghem in Brittany. They claim to be the first French distillery to bring a whisky and later on a single malt to the market. The distillery dates back to 1900. Léon Warenghem started distilling l'elixir d'armorique, a liquor containing extracts from 35 plants. His son introduced numerous flavoured liquors such as mint and cassis. In 1983 they started working on the concept a whisky Breton. Today we'll focus on an entry from the core range. The NAS Sherry finish is bottled at 40% alcohol and serves as an introduction to the brand. It is widely available in French supermarkets. Colour: Gold. Fast legs reveal a thin texture. Nose: Lots of candy, dates and raisins. A whiff of triple sec (Cointreau). Cinnamon and juniper berries. Sweet malt and vanilla. Burnt sugar, dried apricots and almonds. With water: Caramelized malt, Werther's Original caramel candy. Cinnamon and liquorice candy. Dusty cardboard, oatmeal, oranges and dried mandarin oranges. Taste: Caramel and oak. A soft and silky mouthfeel. A tiny pinch of pepper with raisins and blue grapes. Even a faint hint of smoke. Honey, nutmeg and brown spiced biscuits or speculoos. With water: Liquorice candy and/or liquorice root. Salted caramel and buttery nut cake. Finish: Warm sugar and brown spiced biscuits. Sample: This Armorik came from a bottle share with a colleague at work coming back from Brittany.